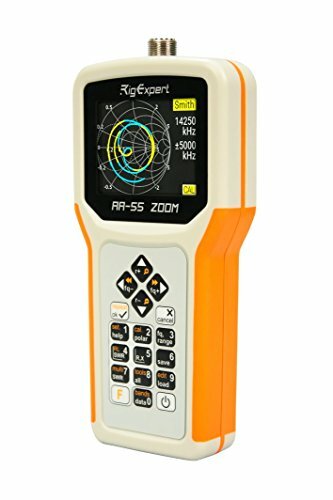 The AA-55 Zoom analyzer is designed for measuring SWR (standing wave ratio), return loss, cable loss, as well as other parameters of cable and antenna systems in the range of 60 kHz to 55 MHz. If you have any questions about this product by Rig Expert, contact us by completing and submitting the form below. If you are looking for a specif part number, please include it with your message.